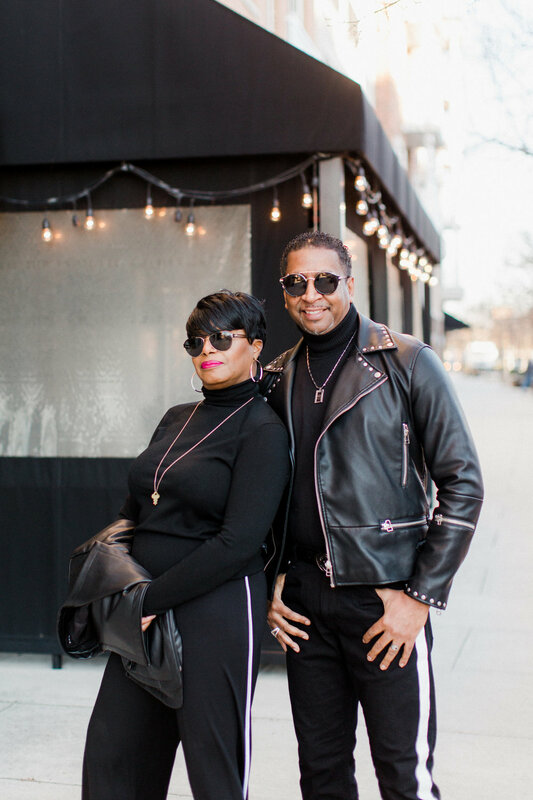 Happy Friday Beautiful People….are you ready for the weekend….well, I’m excited to share my post today because one of my best friends joined me on this shoot…say hello to Travis…we’ve been friends for over 15 years y’all…he’s truly “my brother from another mother”! As you can see from the pics, Travis is totally GQ status…totally! 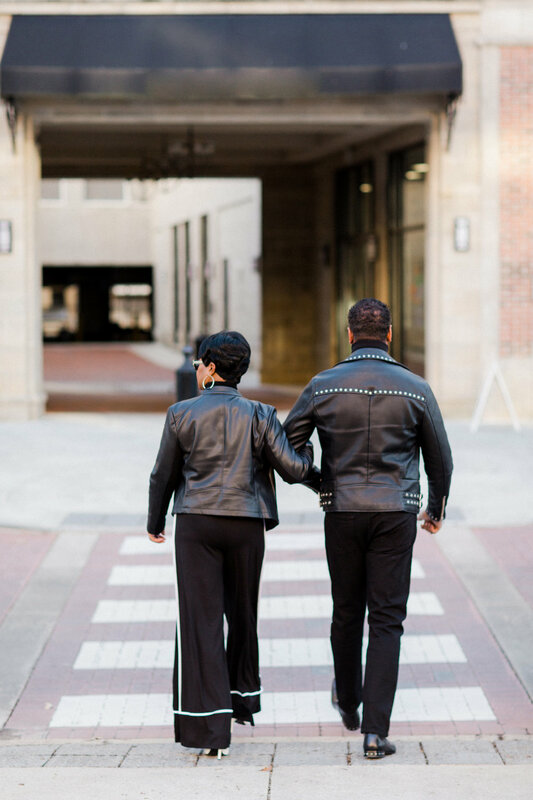 So, for our first shoot, we wanted to show how we styled an all black outfit…Travis told me that he had been out shopping (as he always does) and he found a pair of pants with the white side panel…so, we decided to do the “all black everything look”…we had no idea how the other was going to hook up their look and we totally did this shoot on a whim! 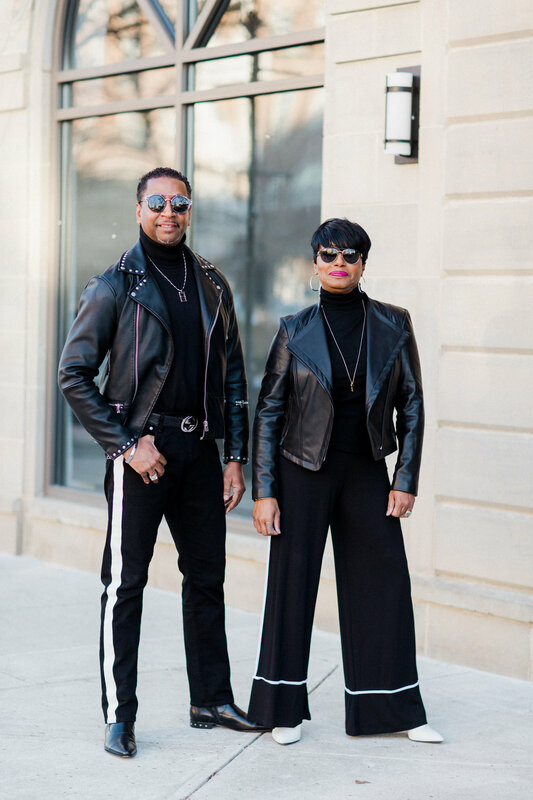 We totally ROCKED this look y’all….we both stayed with our own personal style…I love this because both looks came together. For starters, always have a black turtleneck in the wardrobe…it’s a great standby piece and a perfect start for building the look! The black leather jacket brings in the street style element. 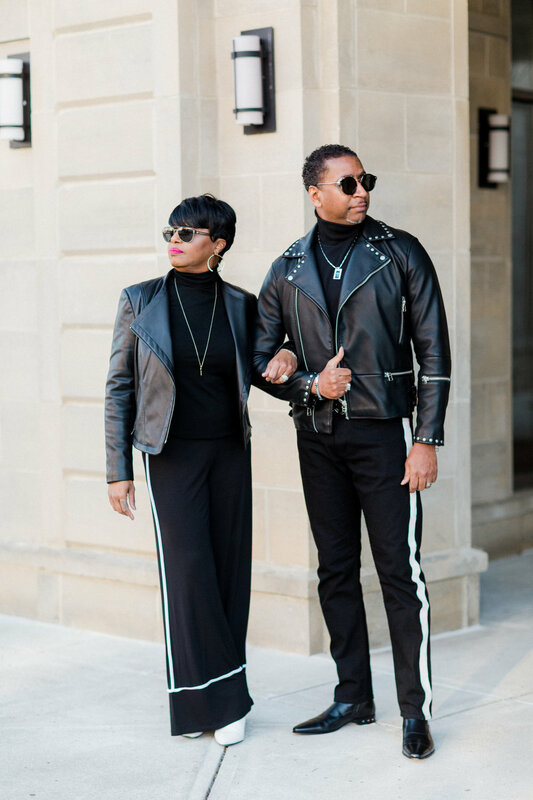 Travis is rocking the black pants/straight fit with the wide side panel in white….I’m wearing the black palazzo pants from ASOS with the white stripe on the side and it extends above the hem….I’m wearing my white booties and Travis kept his look all black with his shoe selection. To finish our looks, we both are wearing our favorite sunnies and kept the jewelry to a minimum. Always have a black turtleneck in the wardrobe. Let your shoes not only do the walking but also the “talking”! A great black leather jacket is always a great option for the “coolness” factor and never goes out of style. Simplicity and clean lines are key for an all black look. Keep the look sleek, clean and timeless! Fashion Deets: My pants are from ASOS, jacket and boots from Macy’s, turtleneck from Banana Republic and necklace from The Giving Keys. Travis’ jacket is from Zara, shoes from Dsquared2, and pants from Calvin Klein.